3205 Golden Oaks – Sold for $275,000 with a list price of $285,000 Closed in 9/18/2017 One bedroom, one bath, approx. 674 sq ft.
3203 Golden Oaks – Sold for $275,000 over the list price of $265,000 Closed 4/6/2017 One bedroom, one bath, approx. 715 sq ft.
2202 Golden Oaks – Sold for $320,000 which was full list price. Closed 2/13/2018 One bedroom, one bath, approx. 565 sq ft. Clean and painted, second story, corner condo. 3209 Golden Oaks – Sold for $325,000 with a list price of $339,000. Closed 4/27/2018 One bedroom, one bath approx. 714 sq ft.
2203 Golden Oaks – Sold for $439,000 which was full list price. Closed 11/29/2017 Two bedroom, one bath, approx. 812 sq ft. Lots of upgrades, condo on the second floor. 3310 Golden Oaks – Sold for $510,000 with a list price of $525,000. Closed 11/17/2017 Two bedroom, two bath, approx. 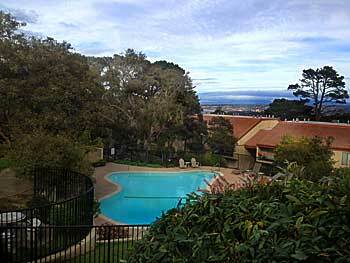 1300 sq ft. Top floor, penthouse unit with ocean views. Has double of most things – two master suites, two living rooms, two fireplaces, two pantries. Kitchen is spacious with wet bar. Condo also has two separate entrances. 1204 Golden Oaks – Sold for $540,000 with a list price of $549,000. Closed 1/05/2018 Two bedroom, two bath, 1155 sq ft. Beautiful remodel, top floor penthouse double unit. Two fireplaces, separate dining room, two master suites, family room as well as living room, and has two balconies.